One of powerful aspects of Campaign Enterprise is the ability for it to connect to databases in real-time. Information can be read from the database for sending of campaigns, and information can be written back to MS Access when certain events occur like an unsubscribe or click tracking event. 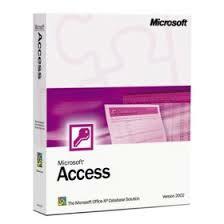 The connection to the Microsoft Access database is accomplished using the OLEDB Jet provider. For sending emails, a file-based database like Access is usually faster than an SQL server-type database because the connection to the file is instant while the SQL server must query another process or even another computer. When writing back to the database there may be times when multiple write events are occurring at the same time which is usually not optimum for a single file-based database like Access. So, if you are planning on just sending out email from the MS Access database and not much response event record it can work really well. Security for Microsoft Access connections can be tightly controlled by use of creating an Email List so connection information is not exposed to outside sources.